Skil-Care Lateral Body Support is designed to improve sitting posture and reduce restraint dependency. As a vertical support, it stabilizes the torso. It may be used with a wheelchair or geri-chair. 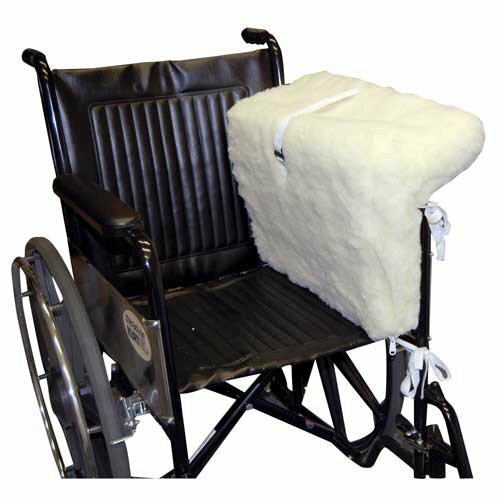 Manufactured by Skil-Care, this wheelchair torso support is made with a rigid plastic insert with foam core and a choice of three different covers. Select between a synthetic sheepskin cover, polyester cover or the Low-Shear II cover. A foam-cushioned armrest trough supports the arm. These lateral supports for wheelchairs may be used on the left or right side. The synthetic sheepskin and polyester covers are designed to be removed for laundering. These covers may be machine washed and dried. The Low-Shear II cover may be cleaned with a mild spray cleaner and a damp cloth. 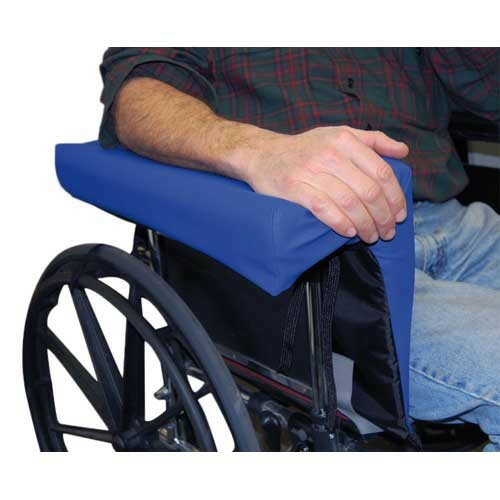 Vitality Medical carries many wheelchair accessories for mobility patients, including Lateral Supports for Wheelchairs, Wheelchair Side Supports, Wheelchair Torso Support, Lateral Body Support, Wheelchair Arm Trough, and Wheelchair Seatbelt Safety. May be used in any chair. Rigid insert provides strong torso support. Choice of 3 separate covers. Protects wheelchair patients from leaning. Product Numbers: 706010, 706011, 706012. Cover Materials, Polyester, synthetic sheepskin, or Low-Shear II. Skil-Care Two-Piece Footrest Extender provides user information and care instructions for this footrest leg positioner.